When first introduced, she is wearing an evening gown. Her hair is dyed light pink. She’s drinking, bar-hopping and flirting with multiple men. She has a lover. And falls in love with someone else that evening. She’s spontaneous and she’s got it made. (Her rich uncle pays for it all whileshe lives in Paris). According to her, she’s “hellbent for living.” The book has all the makings of a true coming-of-age story: filled with cringe-worthy moments and multiple “I-told-you-so” experiences that must be experienced on your own. A slightly uncomfortable reminder of your early 20’s. And while mixed on the book, there is no confusion about whether or not the wine was loved. 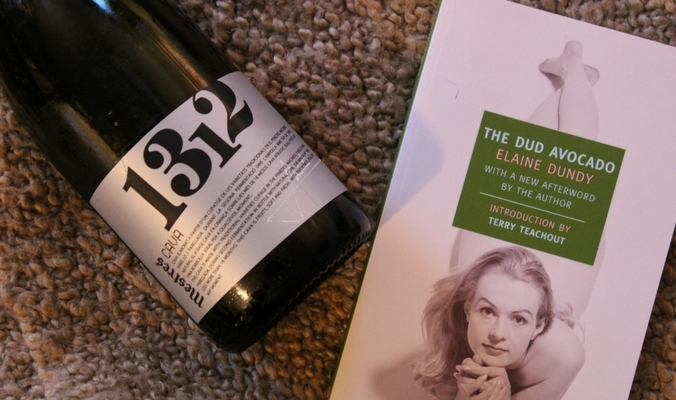 While reading, bubbles were the perfect drinking companion. Ironically, Sally Jay hates champagne. I compromised by pouring glass after glass of Mestres 1312 Cava. A good compromise: still bubbly, but not Champagne, so no betrayal to Sally Jay. Fun fact about this Cava – the producer was the first to register the word cava in 1959, a word chosen to convey that this was a sparkling wine aged in a cellar. It uses the traditional grapes of the terroir: Xarel-lo, Parellada and Macabeu. In every way it’s delicate, from the bubbles to the flavors. It’s fresh and flowery. With pear, green apple, citrus and some subtle spice. Just like Sally Jay, starts out sweet and bubbly, but when pushed to her limit has some spice and acidity. And to answer your question, I loved the book, just like the bubbles. Warmth is always craved during February’s short, dark days and frigid weather. Which is why fireside drinking is ideal. A double whammy: Flames to warm your skin. Wine to warm your soul. And that’s my ode to consuming red wine next to a fireplace. You’re welcome. 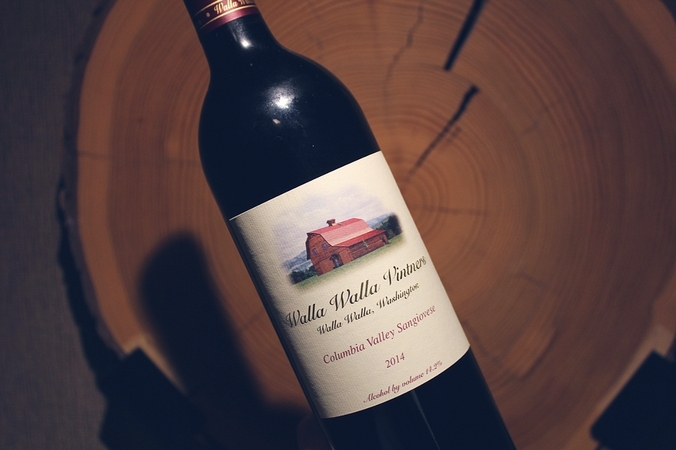 The 2014 Walla Walla Vintners Sangiovese and my in-room fireplace at Salish Lodge was the perfect drink-location combo for a cozy weekend getaway. Never one to every shy away from a metaphor, this was just the right wine for the lodge weekend. Both the wine and the lodge are the perfect balance of refined and rustic. Hikes, falls and outdoor activities are met with the lodge’s spa, fine dining and pillowy beds. The wine is earthy and rustic, with good acidity and tannins. This 2014 Washington sangio is fruit-forward, soft, subtle, then you’re struck by savory flavors and grippy tannins that remind you you’re drinking an Italian grape. It’s smells like strawberry and leather. Tastes like cherry tart, strawberry, tomato, with savory flavors of herbs and olive. Saying that I felt cozy is an understatement. After a massage, facial and an hour spent in the sauna and hot tub, an evening in a robe with a bottle of wine and a fireplace warmed every inch. I just wish that could be every weekend until June. The weather has been absolutely freezing. Stepping outside results in a gasp for air, tensing your shoulders and praying the moisture in your nose doesn’t freeze. So instead of deciding to brave the cold city last weekend, we made the decision to find a colder locale. If it is going to be that frigid, there should at least be snow. The destination: Eastern Washington cabin during a snowstorm. In those conditions, multiple layers, cozy socks, fur blankets and wood-burning fires are expected. And when access to the day’s football game is limited and cell service is non-existent, wine is a must. Honestly, you would probably drink anything. It is part of the fun, after all. But, ideally it’s something that’s savory and red. That makes you want to grab the bowl of the wine glass with both hands, swirl the juice and gaze into the deep color. With that in mind, I turned to the Buty Rockgarden Estate Red Blend. I figured that while everyone was watching playoff games and I was cooking, I could have the whole bottle to myself share with everyone. When first smelling and tasting this bottle of wine… STONE. But, of course – it is from The Rocks District in Walla Walla. The soil there is distinguished by the tennis ball-sized cobblestones. Because of this, the vine’s roots dig deep, soak up the minerality and have an undeniable Walla Walla rocky smell and taste. As someone whose first wine love was Washington Syrah, it’s like macaroni and cheese: familiar, comforting and one taste is a reminder of why I love it so much. 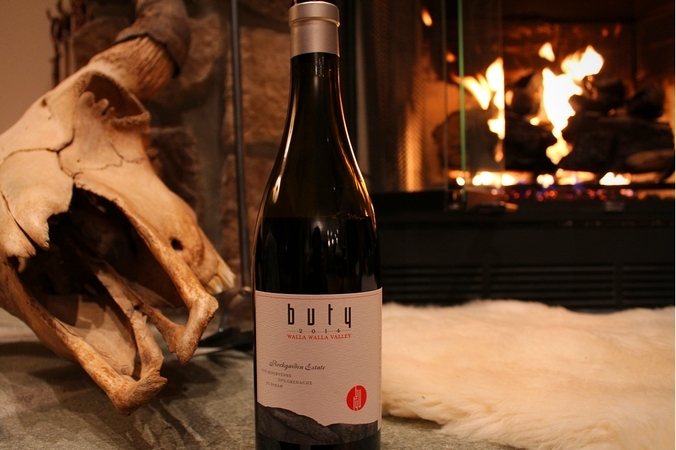 There’s meat and spice and a long finish, which means the bottle can be enjoyed for the duration of the evening. While others may be resolving to drink less this year, I’m resolving to taste and drink more and more. Be more experimental and keep learning as much as possible about my favorite beverage and all that goes into making it. To keep myself from getting complacent, I’ve made four wine-drinking resolutions to keep exploring, because learning about wine is almost as fun as drinking it. Most people reserve bubbles for special occasions, but sparkling deserves more screen time. The pop of a cork makes any night more special. Sparkling is great with spicy food, with rich food or with no food. This year, I will not automatically choose still wine, but make sure sparkling is always an option. Whether it’s Champagne, Prosecco, Cava or Pét-nat – sparkling should have the same chance of making it on the table. As a Washingtonian – I find myself drinking lots and lots of Washington wine. And because it’s always my go-to, lots of French wine. But, with a whole world of wine regions and new ones popping up regularly, it’s limiting to stick to the same ones. On my short list: more from Finger Lakes in New York, wine from Greece (one of the oldest wine regions in the world) and I’ll be seeking out some wine from Michigan. Right after drinking wine, shopping for wine is one of my favorite activities. My shopping trips consist of perusing the aisles and choosing wine based on my knowledge. But this year, I want a wine-shop-bestie who knows what I like, recommends wines I love and calls me personally when a new, coveted bottle shows up in the store. So this year, I’ll be pinpointing salespeople at my favorite wine stores, who can be my go-to wine whisperer and share their expertise with me. My nights usually begin and end with wine. The apéritif is usually reserved for dinners out and parties. But, recently inspired by this Food & Wine article and my desire to always act a little more French, I see more apéritifs in my daily life. The whistle-whetting drinks are a great start to the evening and upgrade daily dining. 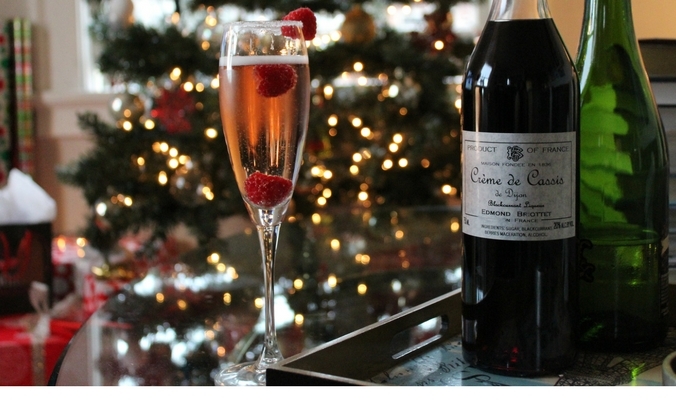 I’ll be stocking up on Campari, Lillet and all the ingredients for the Kir Royale. There are two types of Friday nights. Those when you’re ready to pass out and those when you’re ready to let loose. A dark, full-bodied Cab is great for a cozy night at home. But, a night out calls for something a little more lively. Which is why you typically reach for a white or sparkling. Fret no more, red lovers. There’s a Friday-night-get-loose-wine for you. The grape’s Gamay, the label says Beaujolais. We’re not talking about Beaujolais Nouveau, a young wine that is bottled and drank right after harvest. But we’re talking about Cru Beaujolais. The Beaujolais Crus (there are ten of them) are just south of Burgundy and produce wines that are light, acidic and fruity. 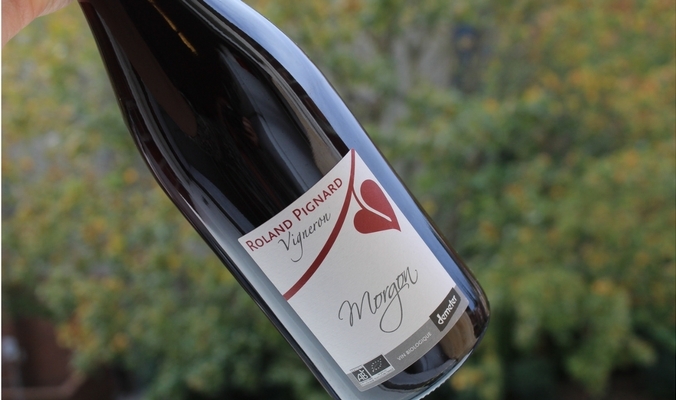 This 2012 Roland Pignard Morgon is one of my favorites. It does the trick on a Friday night that is about to get turnt or anytime an invigorating red wine is needed. It’s light, juicy and acidic. It dances around on your tongue. There’s cranberry, cherry, and floral. It’s easy drinking, but exciting. And always best served slightly chilled. It’s a wine to reignite a Friday night, to drink all night long. The third Thursday in November is Beaujolais Nouveau Day. In France, this means a big party to mark the consumption of the first wines of the season. This was yesterday, the 17th. 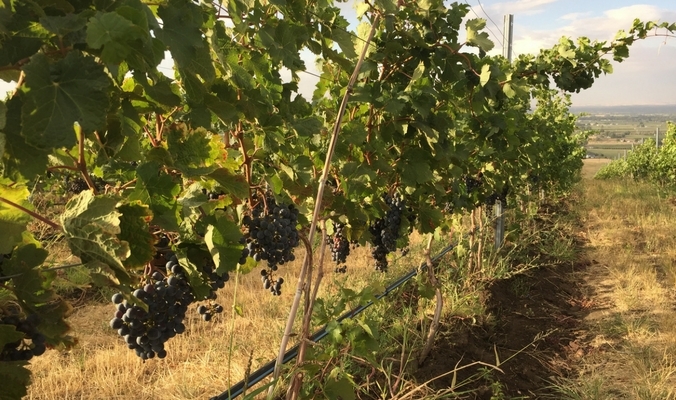 Since the celebration is held immediately after harvest, the wines being consumed are very young. In most cases they were only harvested six to eight weeks earlier. The whole process: harvest, fermentation and bottling happened in less than two months. The wine’s easy drinkability is due to a winemaking process called carbonic maceration, where the whole-berry is fermented prior to crushing the grapes. The product is a fresh, fruity wine, with minimal tannins. The grapes are Gamay. The region is Beaujolais, just south of Burgundy. The region is split into three classifications: Beaujolais AOC, Beaujolais Villages AOC and Beaujolais Crus. Beaujolais Nouveau comes from the southernmost region: Beaujolais. The other two regions give their wine more time to develop. Cru Beaujolais is the most prestigious of the three areas. 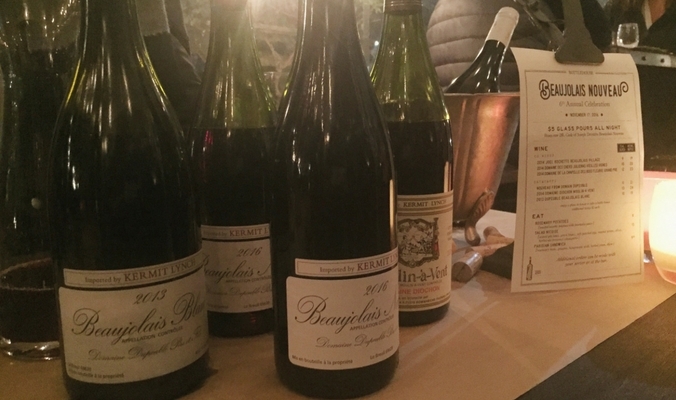 Beaujolais Nouveau is not meant to be fancy or serious. It’s young, fresh, easy-drinking. It’s made for a party. So do just that. Serve it chilled and with friends and appreciate how quickly those winemakers turned this wine around. 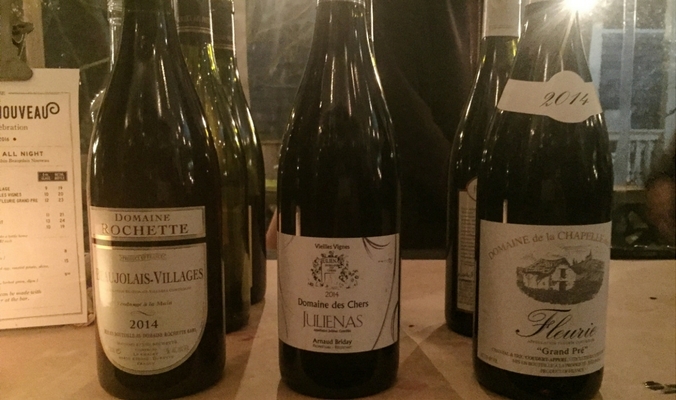 My party was made up of Beaujolais from the entire region.